I'll put it out there right from the off — I'm no Monster Hunter veteran. Not by a long way, and in fact my first experience with the series was Monster Hunter Tri on the Wii. I played the campaign to completion and enjoyed it a lot, but it wasn't until Monster Hunter 3 Ultimate that I truly fell in love with the series and realised that I'll likely be an MH aficionado until I stop playing games — which will be the day I die — or Capcom does something very silly like halt the franchise or ruin it beyond recognition. Neither of those doomsday scenarios is likely in the near future for the simple reason that the series is too important to Capcom, particularly in Japan. The enthusiasm of the fan base also means that the games evolve slowly and retain quirks from one entry to the next, and that right there is the biggest conundrum for the publisher. How can it maintain its loyal following in Japan but convince many millions in the West that these are must-have games? Before I outline some reasons why I hope Monster Hunter could enjoy a strong 2014 and 2015 in Western territories, I think it's important to acknowledge some clever moves from Capcom with Monster Hunter 3 Ultimate. While the borderline ludicrous volume of content can keep players coming back for months after an initial playthrough, it made critical improvements over the Wii title in its overall structure and progression. It managed to take the flaws of the Wii release and scale back some of the unnecessary complexity and clunkiness, which is integral for a game that screams of both challenge and depth. As I said above, Tri was my first MH game, and it undoubtedly captured my attention to the point I battled through the main story. Where it failed, and this is my personal perspective and only partially my 'critic' viewpoint, is that the online setup was flawed. I'm aware that in some features in the past I've said that Tri had one of the very best online experiences on the Wii, which I think is accurate, but it wasn't up against much competition and, ultimately, wasn't particularly friendly for series newcomers. On a technical level it got a lot right and was a revelation for the system — voice chat was there (though criminally underused because, well, it needed Wii Speak) along with a workable lobby system, reliably lag-free co-op and a variety of challenges to take on. To my eyes, though, it was a messy setup; the hub area alone was more spread out and diverse than in the actual main campaign. The biggest problem for me, however, was the online mission structure; I wanted to play online and tackle enormous monsters with like-minded gamers, but the grinding needed in order to level up was a painful affair. Each quest — depending on objectives achieved — awarded ranking points, and it was a terribly dull experience. The balance was all wrong, as menial tasks such as picking mushrooms were prominent, and even simple monster battles gave relatively few ranking points; it seemed that levelling up simply took too long. It wasn't helped by the fact that hopping between lobbies and actually co-ordinating a hunt could also be tricky, as the overall structure was rather scruffy. 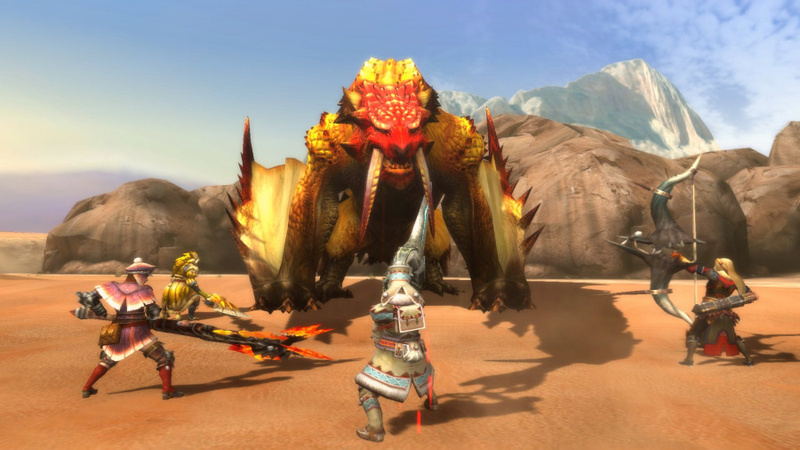 Monster Hunter 3 Ultimate on Wii U was more than an expansion that threw in a huge number of extra quests, but it overhauled the online component. Some of the issues with Tri could perhaps be blamed on accommodating humble hardware, but even allowing for the benefits the Wii U gave the developers Ultimate's online setup is far superior, with simpler routes to levelling up and more action right off the bat. Unlike Tri's online grind-a-thon, the more instinctive Port Tanzia setting is the home for both local and online multiplayer, though can also be tackled in single-player; not only do the quests follow the same structure as the main campaign — complete them once, clear a certain number, defeat an unlocked "Urgent Quest" and level up — but progress is synchronised across all three options. So while Port Tanzia is separate from the solo campaign in terms of its mission set and progress, successes in these quests either on your own, in local co-op or online are all synchronised together. Most importantly, you can progress by completing two-thirds (or just over) of the quests in each level, and even the initial single star quests include hunts of dangerous beasts such as Qurupeco, Barroth, Royal Ludroth and Gobul — veterans can crush those in their sleep, but remember these are all in the first ranking level of Ultimate's online mode. It's possible to skip mushroom gathering, and when reviewing the title I moved up multiple ranking levels in a limited number of hours online, as I was reliant on Capcom-organised sessions and some friends in Germany that were up for online play. Whether these Port Tanzia quests are tackled alongside equivalents from the campaign or by beefed up hunters that have spent many hours progressing in the main game, unlocking new levels can be a rapid business; it never stops, either, as I'm still planning more trips into the G Rank quests. When you throw in voice chat and instinctive keyboard chat with the GamePad, as well as a more instinctive lobby system and hub that enables games to be organised quicker, you have an online experience that transforms the game. I went from being a fan that wished Monster Hunter's justified in-game grinding wasn't amplified by a poorly designed online component, to an enthusiast that has spent well over a hundred hours and plans to play much more in the coming year. Very little was lost of the standard MH formula in streamlining the online component, but so much was gained. If I say that 2014 and 2015 give Capcom its best chance to date to truly expand the Monster Hunter audience, some may rubbish me and point to the fact that multiple titles were released worldwide on PS2 and PSP before the focus shifted to the Wii, 3DS and Wii U. That's fair enough, but plenty has changed and evolved since that time, with online play being an integral part of that. There is still, over ten months after launch, a loyal group of gamers hitting up the Monster Hunter 3 Ultimate servers for online co-op on a daily basis; the numbers don't blow any socks off, but it's enough to find a game. That's a bit of a revelation on Wii U, in particular, where plenty of third-party games with online play can be so short on players that actually getting into a session can be a troublesome business. That's because while the single player challenge is terrific, and local multiplayer is great fun when 3DS and Wii U players team up in the same room, it's the online component that gives the game such legs. Taking on the ludicrously tough G-Rank quests with an experienced group count as some of the most fun experiences I've had online in any game on any system. Capcom seems to be exploring the idea of bringing Monster Hunter Frontier G to the West, which is its MMORPG (massively multiplayer online RPG) spin-off in Japan. This began as a PC game, shifted to Xbox 360 and then, last year, arrived on the PS3 and Wii U. 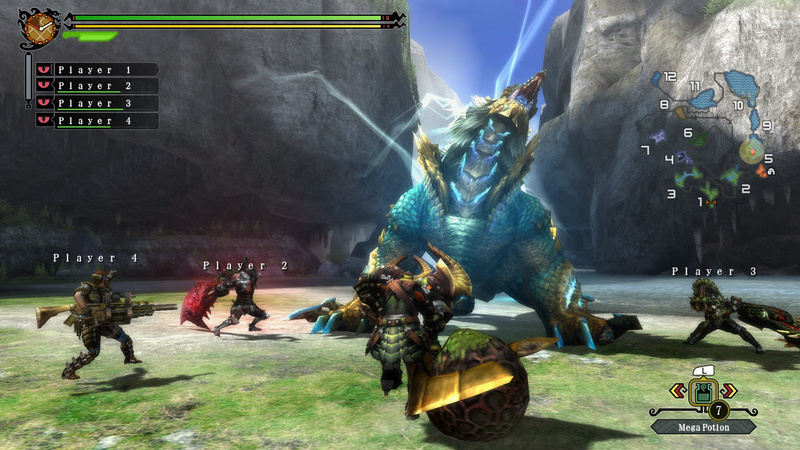 In Japan it has a monthly subscription — standard for the genre — and as the name suggests incorporates MH gameplay into the online RPG world, one of the most popular game formats in the world. It's a genre typically thought of as a PC affair, but recent years have seen more games of this type come to consoles. The upcoming Vita version of Frontier G will support cross-platform play with the PS3, but I'd suggest that Capcom pursue the possibility of multi-format cross-platform ahead of potential localisation. MMORPGs live and die by the size and loyalty of their user-bases, and rather than split up adopters of the new sub-series by which console they happen to own, open it up for all to play together. If download developers can do it for titles like Cubemen 2 and Pure Chess, Capcom should consider it. And then we have Monster Hunter 4 Ultimate coming to the 3DS in early 2015. Unlike the previous entry on the 3DS this will have online play, with the system having the necessary features to mimic the microphone and virtual keyboard that make 3 Ultimate on Wii U all the better. By the time this title arrives it'll have the benefit of a sizeable 3DS userbase (currently a little over 40 million) to target, while eager fans will no doubt be desperate to tackle an all-new entry in the series. It has an advantage over its portable predecessor on Nintendo's system due to that online play, and promoting that ability to take the quests on with others — while promoting in-game and Miiverse communication — can give the title a buzz as a definitive experience on the system. 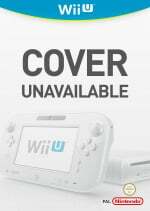 I also hope, and I doubt this will be a universally accepted viewpoint, that we'll also see Monster Hunter 4 Ultimate on Wii U. Monster Hunter 3 Ultimate was an interesting case in that the 3DS port was the original plan in Japan, and then the company rightly realised that as the source was a Wii game, porting up to Wii U was worth the punt. The save transfer feature was nice and was a rare Nintendo example of the kind of handheld / home console synergy currently being pushed by Sony with the PS4 and Vita. Different architecture with the Wii U and 3DS make such constant connectivity options pretty much impossible on Nintendo's hardware, but 3 Ultimate showed that exceptions can be made. Only Capcom knows whether Monster Hunter 4's building blocks follow its predecessors and can therefore be up-scaled similarly for Wii U, or whether the engine is different enough to make the transition more difficult. If it is possible, then there are key differences that could make a dual release of Monster Hunter 4 Ultimate beneficial to both systems. First of all, both would have online play, so wherever a player is they can, in theory, continue their save online. Most importantly, I'd personally welcome a genuine cross-buy initiative — I don't mean buy one and get the other at a discount, I mean buy one and get the other free. I suspect this would involve a great deal of confidence from Capcom and, should Nintendo be involved in promotion as it was with 3 Ultimate, perhaps guarantees and money offered to cover shortfalls. As a campaign to spread awareness and to also promote hardware, it could undoubtedly be of benefit, though it's an aspirational idea, admittedly — costs of the porting and promotion will always be a big consideration. So why now for Monster Hunter? Why could it potentially push for greater recognition in the West now when it's remained as a modest performer in the past? For one thing, Monster Hunter hasn't flopped badly in the West, as if it had Capcom wouldn't be bothering with one and potential two new Western releases. It's merely not become a cultural hit on the scale that it has in Japan, and maybe it never will. But Capcom has arguably never had a better chance to push the sales numbers in the West and take a relatively small group of loyal fans and expand its numbers — sales of 3 Ultimate may have been limited to some degree by a small early Wii U audience and the absence of online play on 3DS. I feel that to do that, in many respects, the series should stick to its principles. The transition from Tri to 3 Ultimate shows that it's possible to streamline and help gamers reach the most fun battles quicker, while still demanding many hours and a committed effort; it's still impossible to race ahead in the Wii U and 3DS entries. Yet so few franchises satisfy that craving for complexity, challenge and a willingness to ignore 'go easy' conventions. We're in an era when games are so much easier than before, and while I'm actually a supporter of Super Guides, unlimited lives and regular checkpoints to enable all gamers to enjoy the games they buy, it is nice to be pushed and challenged on occasion. Such challenge is out there, and for example over two million copies of Dark Souls have been sold, while there are games on various platforms that are shooting for similar complexity. What Monster Hunter has is some loyal fans from its ten years on the market, and games that are becoming increasingly stronger in their core structure and setup. Vitally, it's a franchise in which gamers can immerse themselves, a far cry from the increasingly accessible and generous attitudes of many retail games — the download-only scene can be more brutal, in a good way. Common complaints about the game can also revolve around elements of the controls, right down to some of the animations — such as the obligatory pose after every healing or buff item. These probably remain for the reason mentioned at the top of this article — Capcom isn't keen to alienate or throwaway its substantial and passionate support base in Japan. Yet still, by sticking to its guns in most cases (I would prefer the character drinks or eats their item and then gets on with it, minus the pose) Capcom can differentiate itself and remind gamers that, even in a land of pure fantasy, some degree of reason and logic should exist. If you're running around wearing heavy armour and swinging a sword that's ridiculously big then, yes, movement will be limited. While the camera could be a little slicker and improvements are always possible, the current style of the series suits its goals. When tackling an enormous, powerful creature with a relatively vulnerable hunter, there's serious tension and focus is required. If my character was some kind of superhero that could swing an over-sized sword around like a bread-stick while executing Bayonetta-style backflips and moves, I wouldn't have played it for over 150 hours. What truly captures me as a slightly obsessive, stubborn gamer, is a desire to defy the odds against these enormous monsters. They may be 20-30 times bigger than me, but I have armour suited to minimise their damage type, I've topped up on a strengthening meal, I've an inventory loaded with items and I've mastered the move-set of my trusty long sword. I've learnt how to do that from steady progress, tackling smaller creatures, failing plenty of times, and learning from mistakes. I've hunted alone, with friends and with strangers online, and I've accumulated skills and knowledge. When you combine all of that against a tough adversary and win, defying the restricted movement of your armoured hunter, it's a thrill. Battles that go right to the edge, with time running out and restorative buff items gone before a late winning blow, are among my favourite gaming memories of recent years. I've enjoyed being an experienced campaigner helping lower-ranked players, and equally watching gobsmacked as three outrageously good players take down the most dangerous monsters with tactics and strategies I hadn't even imagined. That's Monster Hunter, and it rewards effort and commitment. I'm not typically someone who surpasses 100 hours in any game, but this series is an exception. If Capcom and existing fans can convince others of the thrill of the hunt, and the community continues to grow outside of Japan, then the franchise can go from strength to strength. Now, back to the hunt. MH4U is going to be awesome. I really, really wish I found the MH games fun. I've given the series 3 shots on 3 different systems and each time I found the combat awkward and the grinding boring. But they are well put together from an infrastructure perspective and I'm glad they're doing well, especially on Nintendo systems. I still havent got any yet... Is the Wii u one better or the 3ds one? I quite liked the MH3 on Wii and Wii U but I found certain aspects of the game design to be a bit annoying. I think there is a market for it over here but it would definitely improve the game to make the combat less clunky (especially projectiles). I would happily buy a ridiculously deep RPG like MH if the combat system was more like Xenoblade's or Skyward Sword's. MH3U is the best Wii U game,....period. Monster Hunter is a special kind of game. Get your best friends around and you have one of the best experiences gaming has to offer. Getting them going on your own is, like @Objection stated, a nightmare. The difficulty is relentless, the "behind the curtain" mechanics are overly deep, the sheer mass of Items athe the logistics behind keeping your inventory stocked can be baffling, moreso in Tri / 3U. The odds are constantly against you, and a game never made winning so satisfying. Because it wasnt your character who won a fight, it was you, the player. @Pichubby They are both exactly the same. The 3DS version has lightly changed menus because of its lower resolution, but other than that, they are carbon copys of one another. But having a circle pad pro is a MUST. It will run without it, sure, but you definitly need a second stick, especially for underwater battles. @Nintenjoe64 That would basicly destroy the series. Monster Hunter is all about the clunky controlls and difficult combat. You are no JRPG hero who can wield airplane wing sized swords like they waight as much as a chocolate bar. If you have a giant sword, it FEELS like a giant sword. Its clunky, heavy and unwieldy but you almost feel the impact once it connects. Look up some pro players and see, that the "clunky" controlls are offset by skill at the end. Once you know what youre doing, there simply is no "clunkyness" anymore. Trust me, i complained about it enough before getting the hang of it It just takes time...very long time. Getting into Monster Hunter is compareable to getting into old PC RPGs like Wizardry or Might and Magic and excpecting it to be like any other RPG. YOU, the player, need to learn it, not your character. And thats the one rule in Monster Hunter: YOU are your character. Your skill is his character level basicly. 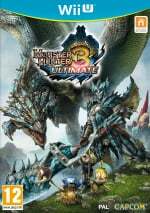 My first MH experience was with Tri on the Wii. I never finished it because I felt overwhelmed with its complexity. However my kids loved it. Last year, when it was half off on the eShop, my kids got it for their respective 3DS and they were having so much fun playing local co-op, that I decided to give the game another "tri" (pun intented) and bought it for my Wii U. After all it was still half off that weekend do I figured "what the heck! Why not?" Man ask I so glad I did. I noticed right away how CAPCOM simplified the game mechanics without sacrifizing the challenge level. My kids and I have had countless hours of co-op and single player fun. I'm even considering buying it for my 3DS too. This is a great game, I can't wait for MH4U. I hope CAPCOM brings it on Wii U too. I'd but it in a heart beat! I'ld really like a Monster Hunter for Dummies game. Not sure how to name it to get the point across - MH Auto Aim - but it was just a bit too much for me as it is now. I got thru most of Tri but it wasnt all enjoyable. I wouldnt play 4. One of my least favorite FF games story wise is FF12. It took about 30 hours and I barely remember a thing at all about it. I then went on to play that game for another 100 hours hunting monsters. I always wanted a sequel - FF12 Monster Bounty Hunter. If that game came last gen there would have been a 100 monster DLC pack. Instead we get 3 FF13 games, which have no redeeming qualities. I also just finished Shadow of the Colossus but that was a little too other extreme, nothing at all to do except fight monsters and eat the occasional lizard tale. It would be a nice location for Hyrule though. It's like Twilight Princess, but w/ grandeur. @Pichubby Get WiiU version because it has multiplayer online. I had fun with Tri on Wii but I don't have time to devote to the title so it is a miss for me right now.....Once the kids get older and I have a little more time to game I hope I can get into it some more......for now I either need a game the boys enjoy watching or something I can play for a few minutes, save and come back too. My love of RPG's means I try to fit them into this lifestyle but it's doesn't work well for the story and remembering what I was doing the last session. @Nintenjoe64 one of the things that i hate was that you can't fall in the cliff or when you walk in some plase that you can go far (out of the path), doesn't look naturally. I love the RPG genre, but the demo of this conveyed that the game takes the worse parts of the MMO genre (grinding to get items to craft only to repeat for better items) and combines them with the tank controls of first three Resident Evils into a game that I just cannot get into. I am glad that it found it's niche market, but I believe that there are serious barriers for mass-market acceptance. Good read Thomas. And I agree with you about pretty much everything. The only issue I find with MH being widely accepted is that people are not used to the kind of control that Capcom uses in their games. Look at Street Fighter. Every attack has an entire animation that you cannot stop. That's exactly how they work with Monster Hunter. When people come from Zelda and GOW they look at MH and think "Why can't I dodge while attacking?". But that's MH. You have to predict monster's attacks and know that your attack animation will be finished when they start the next attack. That's why people think it's "clunky". And, of course, the fact that most people don't even know the right combos to execute because no one wants to learn stuff online. MH really needs to bring back the Hunting School from the 2nd generation. @Nintenjoe64 But then it wouldn't be MH. I love Xenoblade and Skyward Sword but they are very different games. It's like saying that you'd like more NSMB U if it was more like Symphony of the Night or Bionic Commando. Lovely article, Thomas. Never did I think a series could come along and rival my affections for The Legend of Zelda, but Capcom pulled it off. By the time they released Freedom Unite (my choice for best game of last gen) I was totally smitten. What other games allow you to battle huge monsters and make weapons and armour out of their body parts? And it's how the game balances this latter part – the roleplaying elements that are as important as the combat – that helps to give the games their exceptional replayability. Then there's the combat: I've spent well over two thousand hours combined through PS2, PSP, Wii and now 3DS/Wii U Monster Hunter games and I'm still learning new tactics and new intracacies. Hell, I've clocked up over 500 hours on MH3U alone and have only used the great sword so far! 3 Ultimate is the best refinement of the game and the easiest for newcomers to get into, particularly on Wii U because of the online component. However, the greatest fun the game provides has to be when you can team up with friends or family in offline multiplayer. Gaming alone or together just does not get any better. I think I'm cursed or something. My Wii broke after I put in about 40 hours on MHTri. Never touched it again. Then, after I bought MH3 Ultimate, my Wii U broke and I lost all my progress again. I'm too scared to touch this franchise again, although I really want MH4. I picked up MH3U for 3DS in September when it was $20 and I didn't have a Wii U. I enjoyed it, but found it daunting, and a bit confusing. It's beautiful for a 3DS game. I put it several hours and was starting to get the hang of killing Great Jaggi when my son was born, and I haven't really touched it since for lack of time, and my acquisition of a Wii U and attendant games that allow for quicker play sessions. The game really does introduce a TON of mechanics very quickly, with very little explanation or direction. While I can see how that is a strength for veterans, I think I need some more direction as to the practical effect of all the various items, weapons, shops, potions, etc. It's not good that I've put in several hours and there are some aspects of the game I still completely do not understand. Of course, I'm sure if I could put in the requisite 7-hour play sessions I'd figure it out. Seriously considering getting the WiiU version for $20, but I doubt my infant son would allow me to get too deep into it. I agree with this article 100%. I really hope that they MH4U to the Wii U too, even just as a digital download. The Wii U version is the best. It has online multiplayer, a better camera and I find it much easier to play on a big screen (I have both versions and find that I can kill monsters about 20% quicker on the Wii U because the controls/view is better). @Pichubby It has online play, 3DS has local only. Plus the 3DS controls are harder to get used to unless you have a CPP. I have the 3DS version (I'm still saving to get a Wii U) and I love it. @Einherjar I agree with most of what you have said here, but not the bit about how the CPP is completely needed for the game on the 3DS. Underwater battles are made simple by using the Monster lock button on the bottom screen of the DS and I rarely use the right stick on the gamepad when I'm playing on the Wii U. the only battle that "needed" the CPP on the DS is the Ceadeus, just because you have to focus on 1 part to break before you can get to the final part of the battle, and the Lock camera always points you at it's midsection. If you setup the touchscreen to have the camera controls on the right side of the screen, it becomes second nature and doesn't warrant the purchase of the CPP. i guess that's just my opinion, I have gotten about 6 of my friends into MH3U on the 3DS and a few are planning to purchase a Wii U just for this game, so this article is very welcome to me. The depth and great feeling of accomplishment when you finally beat a large scale monster is tremendous and I haven't sunk this much time into a game since… I can't say that I ever have sunk this much time into any other game. I hope they bring frontier G to the west and that they make it available on the 3DS and Wii U like MH3U. Really hope it also comes to the Wii U. @Unit_DTH Well, the on screen Dpad is functional, yes, but i rather have a physical nub to work with. Also, i try not to use the monster camera, because it would throw me off big time when ill try to play older titles or if this feature will be abandoned for some reasons. Also, the CCP isnt all that pricey, its well worth the investment if youre really into the game. I admit I only played the WiiU demo, but I just couldn't get into it. I had been playing Skyrim for half a year or so and the primitive visuals and cramped maps totally turned me off, while the mechanics seemed an odd combination of crude AI and convoluted mechanics. I can see the satisfaction in mastering something hard and I usually love that, but MH3U just didn't make me want to bother. When the european eShop gets a comparable discount to NA I'll be getting it and giving it another try. I hear so much good about the game, I just didn't see even a hint of it when I tried it. I think the main problem with Monster Hunter is, its a "love it" or "hate it" experience. Its a lot like driving a Formula 1 car compared to a Nissan Micra, they're both on completely different spectrum's. You not only feel the difference, but you also have to adapt and change to the difference and if you don't you'll crash and burn or fail to launch. Monster Hunter can be one of those games that you'll get a buzz for after a while or not at all, compared to say Call of Duty, where you can jump in and know exactly what to do. It all comes down to the persons preference. If I were still in school, with all the free time that that enables you with, I think I'd be all over the Monster Hunter franchise (just as my brother currently is). As it is I just don't have the time to invest, especially when I consider how many other games I've got to play through. I bought a PS3 early last summer and still haven't gotten around to completing anything of substantial length (although I'm nearly there with Ni No Kuni ). PlayStation Plus keeps passing new games to me (not that I'm complaining, I wouldn't get to try many of them otherwise) and the Final Fantasy games are also on sale on PSN at the moment, yet I haven't got enough time for any of it. So trying to get involved in a franchise that seems to require so much investment isn't something that I can see happening. Monster hunter is never going to be big in the west unless there's a radical paradigm shift in the gaming demographics. I've played MMOs for 14 years now, I've watched how things have changed over time and seen what the community looks like. While regular MH games arn't mmos for purposes of discussion they're very similar. Right now the MMO community demands, no not requests, demands, instant gratification, super easy modes, and unimaginably dumbed down games. FF14 for example got 10/10's over here, despite combat in that game almost literally alternating between 3 buttons ever 2.5 seconds. People leveled to max by day 2 of launch. The only way they're preventing people from having all the best gear in the game is week long lockouts on content. If you're wondering japan doesn't really like the game at all. EQnext landmark just went into alpha testing friday. The servers are really buggy and crashing all the time(expected). Despite that people are already done with the progression that's there. There is more coming, it's an alpha after all, but it gives a good idea of the progression speed. Mind you I'm not complaining building is a bigger part of the game, but the point is people on the alpha forums are already screaming about how grindy the game is. These are just two examples but they make the point, people just don't want a game with complexity, difficulty, or effort required. There is some market for it, and some companies are testing some of those waters again but we havn't seen how they're play out. I see monster hunter remaining a thing in the west in the same way dark souls will. However, taking off in the west? No, not without a radical paradigm shift. MH3U for the 3DS is my first exposure to the game. I downloaded the demo when it first came out in N.A. and HATED it...... played it once and never looked back. Game-Stop had a copy for $10 one day about a month ago. I will generally try any game that is a 3DS game for $10, as I feel that is a GREAT price for a 3D game. I bought it because I knew it was popular game and figured I'de be able to resell it at a profit. I played and all of a sudden it "clicked". I have now been playing this game exclusively every day since. BTW, the ONLY way to enjoy this game is in a dark room with ear buds because the sound switches sides as things move and NO ROOM LIGHT makes everything easier to see. I would consider the next installment in 2015 b until then, I'll be busy with MH3U. VERY happy I bought this!! Monster Hunter is not a game, IT'S A WAY OF LIFE! Excellent article sir! I share your entire opinion. I fell in love with MHFU back on my old PSP years ago. Bought my Wii BECAUSE of MHTri. Can't wait for MH4 and i would love to have a Wii U version. Release a MH 4 U for Wii U and I'll buy both the 3ds and Wii U versions at DOUBLE PRICE!! After announcing MH4U for the 3DS in the west it was a great move by Nintendo and Capcom to offer eShop versions of the game at $20/ title. I was interested in the game bit was concerned abiut being able to adapt to the style of game play for $40-$50 bucks so I didn't buy the game until thos past weekend when it was offered on the eShop for $20USD. I have logged in 5 hours of game play so far on my 2DS doing rudimentary quests but I am hungry for more. I can see myself playing this game for hours, I am not sure I will hit 100 hours like Tom but then again I didn't think I would hit 70 hours on ACNL in little over a month so anything is possible. But MH3U is great for new Monster Hunters and is the spring board the franchise needs to launch MH4U and MHFG in the west. Good read. The " battle against the odds" concept is what really pulled me in and make me stay, in the MH franchise. Been there since PS2. The only one i skipped is MH3U, because i don't have a WiiU and i didn't feel comfortable on the 3DS. The thing that sums it up, for me, is that in a MH game, like in Dark Souls, is that when you fail you can't blame anything but yourself. Ever since Tri, I've noticed the series' popularity getting higher (even though its not that much, but its still rising). Anyways I'm just into the games because I love boss battles, and that's basically what this game is all about. @Yorumi I don't think I will ever want to play one again. I liked the original Everquest when there was no real information online about it. (Got to play it and get paid as I was working nights and had very little work to bother with). Played a bit of Star Wars Galaxies but Sony totally ruined that when it was quite good at first. Once everything has got a guide or the first money duplicating glitch happens (Or even before). It gets to the point where you cannot play them properly and everything is stupidly overpriced. (If there is not a pay to win option anyway). I never enjoyed MH games but if other people enjoy them and Nintendo is doing better financially because of it I guess I shouldn't be complaining. I recently downloaded MH3U to see if I enjoyed it anymore than 2 or 1, and honestly it's just not the game for me. 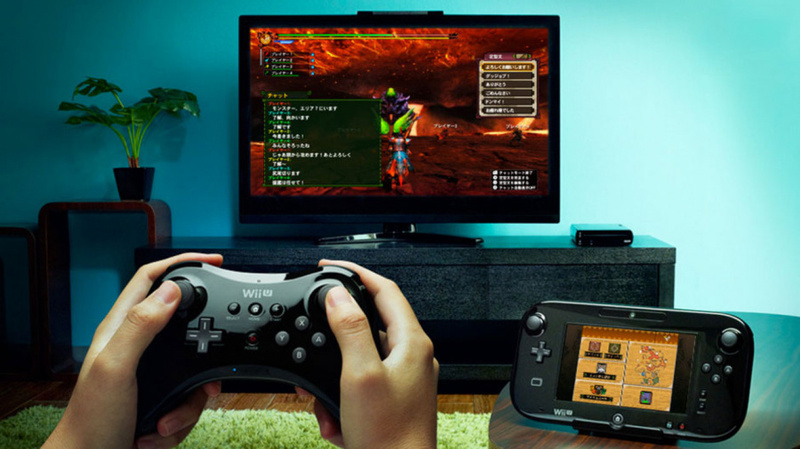 @Pichubby WiiU for the online play and HD, voice chat and gamepad features. My NNID is Shigulicious , hit me up if anybody wants to hunt online. Wii U all the way. Full online, voice chat, USB keyboard support (though digi-keyboard on gamepad is easier), big screen, gamepad with dual analogues, and I cannot stress the wow factor of playing Monster Hunter in high definition, even if it isn't the best looking game on Wii U. Despite many of the same assets, all new high grade textures and resolution make a HUGE difference. MH3U on Wii U is how Monster Hunter was meant to be played. Wish Capcom would throw some of that Japanese obsession the Vita's way. The opening is slow. Stick with it for a little bit. Once you hunt your first monster, Great Jaggi, make an armor set and go for the Qurupeco. Once you make his armor set (and forge an appropriate weapon), go for gold with the Rathian or Rathalos. Then, once you've made Rathian/Rathalos armor, you'll be ready for some serious monsters. Start a low rank lobby online and get some people to hunt with you. Makes it faster, makes it funner. Grow in strength together. @Squiggle55 : i feel you, mate. All we are getting is Frontier G, but i wish they made a proper Freedom sequel. Would play beautifully on my OLED twin-sticked Vita. @Darknyht You said everything I wanted to say about this series. It all feels very sluggish and theres nothing to keep me going. Better items just doesn't motivate me enough. @vattodev that was my problem for the first 48 hrs of play. I wanted Link: Monster Hunter.. but got something more slong the lines of street fighter. I could figure combos... item combo... armor forging... for the longest time.. finally I started a new character and back at 48 hrs played and just now figuring out itemizing for elementals. I appreciate the article Tom, but I will politely disagree, I think MH3U's modest sales on Wii U had more to do with the severe gaming drought on Wii U. I hope I can be proven wrong, but I don't think Frontier will perform as good, which is a shame as I cannot wait to get my hands on it. I would love monster hunter to catch on but the west seems way too obsessed about having everything be dark and gritty. Monster Hunter is a wonderfully vibrant game where the monsters seem like they actually would live in the environment. If you compare Dark souls it really shows how the west absolutely needs that type of feel before something becomes popular. After playing both games I would have to say monster hunter is better because it's challenge comes from being very smart about hunting otherwise the mons will wreck you. And it isn't a straight memorization difficulty as the monsters do have semi random actions. Dark souls on the other hand was a game where going through the game was plain trial and error gameplay. You kept going through until you figured out where the enemy would appear, what they would do exactly, and how do you react. It simply was just an ok game and I feel it went farther because it emphasized dark environments and the whole dying aspect rather than if the game was exceedingly fun to play. Monster Hunter is a fantastic series. If g or 4U comes to Wii U, I'll definitely buy it. I'm not sure on 3DS... I'll have to look into it. I just got Ultimate 3 on my Wii U last weekend when it was only 20 bucks and am loving it. The moment I figured out I could have an axe that it's also a sword I was hooked. And it just keeps getting better. I have become some what addicted to upgrading weapons and getting brand new ones. Along with all the different types of armor. And online play is just great.My friend also got itfor the 20 bucks and in the seven days I've had the game we've already gone on quest together 4 of those days.I've played it about 13 hours at this point, and I'm sure I've still got more than 100 more to go before I slow down. I've hated every experience I had with Monster Hunter, but I hope the series keeps coming to the West for those who like it. @andjahiam That's pretty fast. It took me weeks before I realize that I had to kill monsters many times to make a weapon. I was expecting something like Megaman. If anyone want a few tips or introduction to the game, I'd love to help. It's always good to meet new hunting buddies. I a copy of MH3U for me and my nephew during the sale this past weekend. Great game! Can't wait for MH4, but I wish capcom would bring over E.X. Trooper as well. Maybe if MH4 sells well over here in the west, they'll consider localizing it. I can't say I'm excited for more MH. Id like to be, but after Tri on the Wii, and the Demos on both 3DS and Wii U, the game just isn't for me. Unless they completely overhaul the combat system, I'm not interested in it. It's just a cumbersome beast that I can't get my head around it. It's such a shame. I was a huge PSO fan and can see the type of grinding and stuff could be fun, but I just can't do the controls. I hate them. I don't get them. They aren't intuitive to me. Oh Sega please bring a PSO sequel to Wii U. Even a remake would be fantastic. At first, I hated this game series. The controls, camera and depth turned me off... until my brother took the first plunge (thank GOD for him) and showed me the ropes. Now, We've bought it 3 times... one for each of our 3DSs, and one for the Wii U. Why? Because of the above... controls, camera, and depth. I became the character... but all because of skill, not hand holding. 3U sold over 224K copies at retial alone. Digtal sales were good as well as it spent a bit of time in top 20 charts after release and its been on sale several times and always rockets back into the charts and high up in them whenever. It had a farily strong Internet marketing campaign with adds, and strong encouragement of lets plays but a good TV ad could do wonders. I hope Capcom and Nintendo Push 4U HARD! It'd be great is the series could enjoy as much success as it does in its home country of Japan, unfortunately I don't see that happening. A lot of the problems people have with the series, the clunky controls, quirky animations, ect. are all what make the series what it is. You can sand down the rough spots all you want but you can't change those things without completely changing the way the game works. As long as the series sticks to its guns it can't gain that kind of popularity. If its an action game people expect it to play like GOW or Zelda, if its an RPG is expected to be like the Elder Scrolls or Final Fantasy. If it goes against the grain its considered "clunky". Most people don't want to learn how to play a game, they want to jump in and have it play just like that other game but with a new coat of paint. They like that game, everything works great for it, so why doesn't this other game do things that way? It's a real tough call on Capcom's part if they are indeed looking for ways to make the series more appealing to Western gamers. Personally, I think it's perfect as it is; the clunky combat, movement and long-winded item management/usage actually make it a far better game. It takes some getting used to, but once you know what you're doing, it's easily one of the best gameplay experiences you can currently have. Words cannot describe the immense amount of satisfaction that is felt when emerging victorious after battling a huge, vicious monster for thirty minutes. It's a shame that there's this increasing need to make games simpler, more immediately friendly, because players can no longer be bothered to invest the time in learning how it works. That, sir, was a truly amazing article! I know your pain, my WiiU broke down and I lost my save file with more than 100 hours Monster Hunter:(. But now I'm back and my HR is higher than before! Strike a pose get languished by 8o ft long tailwhip. Arrgghhh. So far i haven't really played a Monster Hunter game apart from the 3DS demo. I really liked these two battles though and they gave me a feeling of immersion i don't think any other game gave me yet. I got a phone call during one of them and it really took me some time to focus on the real world again. 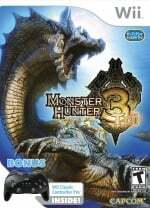 I don't know if i'll find the time to really get into MH3U this year, but i hope that when MH4U launches i'll be ready to at least start with this one. I'm not so sure about Frontier G since i don't know if you'll ever feel like you've beaten that game. Also if there's a fee, it better not be more than 5 bucks a month. Also that's what i'd be happy to pay for the Wii U version of MH4U after getting the 3DS one. I just could not get into Monster Hunter on the Wii, I'm currently playing Dark Souls on PS3 though, and its much more my kind of game. The world in Monster Hunter just felt much more like a backdrop, than something I was able to actually explore. Took a while to get into this game on the PSP(MHFU) but what helped was having friends who were quite far into the game that i could fire questions at as it's not very forthcoming with information. Unfortunately those guys don't own nintendo systems so i'm alone this time, put over 60hours into offline on the 3ds and want to take the jump to online(as have both versions), it's a shame i'm busy when the NL hunt is going on on saturday as would've been a good kick-start. Any online hints for a noob so as not to wind people up? "If my character was some kind of superhero that could swing an over-sized sword around like a bread-stick while executing Bayonetta-style backflips and moves, I wouldn't have played it for over 150 hours." Whatever, I'm still buying Bayonetta 2 and not MH4. I'm still glad that they give 3DS players a chance to play online without the use of WiiU. My friend can have more fun online instead of travelling 60 km to my place for some online MH on 3DS, trough WiiU. Good points, but I prefer games with less clunky combat and movement, like Melee and F-Zero GX. Speaking of F-Zero, when are we going to get a new one? Oh right, never I guess. My thoughts exactly. In trailers the world looks awesome but when I play it, it's just smaller areas and Loading screens every time I get to new small area. It made me laugh when I was fighting a monster near a border and got pushed back a little straight to Loading screen. I just couldn´t get into this series. And no, I don't hate it like for example, most FPS games I've ever played but it's just not my thing.